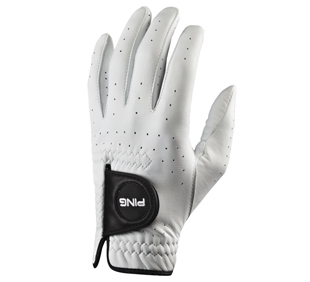 Men’s StableGrip with Natural Fit are quality golf gloves designed to improve your grip. Whether you’re an experienced golfer or just learning, anyone’s game can benefit from Bionic’s patented pad technology. 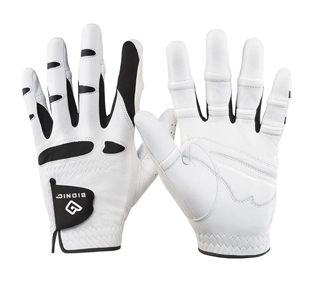 Three-dimensional finger pads and a tapered finger design conforms to the natural shape and contours of your hand to provide superior grip, comfort, and durability with every swing. Moisture-wicking technology draws perspiration away, keeping you dry for complete comfort during play. 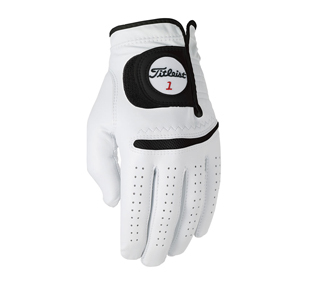 The Titleist Perma-Soft® glove is made from smooth Cabretta Leather specially tanned to resist moisture and retain its comfortable fit. The CoolMax® mesh panel across the knuckles provides added comfort and support when the golfer’s hand flexes. Manufactured in our own Thailand facility to ensure premium quality, fit and consistency. We carry everything from Winter gloves, rain gloves, synthetic gloves, premium cabretta leather gloves, ladies gloves, junior gloves, and more. Southpaws included.